Anyone who knows me knows how much I love pets. I can’t walk past a dog without petting him or her. I absolutely adore cats. And I have a soft spot for lizards; I think they’re super cool. I also love photography and have been creating photos for over 30 years. 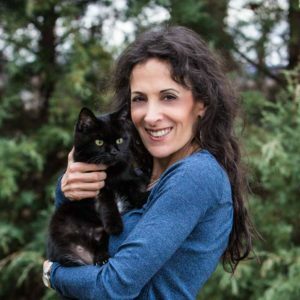 In 2009, I merged my love of pets with my love of photography and started my business, Ellen Zangla Photography. As a niche photographer—all I photograph are pets and pets with their people—I am an expert in pet photography. I understand pet behavior, know how to get them to look at the camera with that “look,” light their fur correctly (if you have a black pet, you’ll know what I mean), and capture the relationship they have with their owners. I have a lot of patience, giving dogs, cats and other pets time to relax, knowing that it can take some time to get the perfect image. I specialize in creating natural and unique photos of dogs, cats and other pets. I photograph mostly outdoors (with the exception of cats and other animals, such as sugar gliders, who may not go outside). My clients say that I capture the true personality of their pets, whether they’re regal and proud, funny or goofy, or somewhere in between. You can read what some of my other clients have said here. I am a Certified Professional Photographer, a designation less than 2% of all professional photographers have earned through the Professional Photographers of America (PPA). Portrait Photographer of the Year, MDPPA, and a Top Ten Animal Image at the 2016 International Print Competition. 2015 PPA Silver Medal Photographer of the year, a very prestigious award, which recognizes the excellence of my photographs, as judged by some of the best photographers in the world. Three “Best Portrait in Show” awards from MDPPA. Multiple other award-winning photos in state, district and international print competitions. You can see my award-winning photos here. I live with my husband, our 16-year-old son, and six 4-legged family members: Homer, a Hound mix; our first set of “twins:” Alfie and Griffin, 4-year-old cats, who are “foster fails” (they came home for a long weekend in November 2014 and never went back); Lola, a 2-year-old German Shepherd/Husky mix; and our second set of “twins,” Panther and Storm.